The Doctors talked about a couple, Darnelle and Steve Mason, who not only had to deal with the loss of a child, but the financial burden of the death as well. Their daughter, who died of liver failure at the age of 27, left her parents with over $200,000 in student loans that she borrowed to go to nursing school. Because her parents cosigned on the loan, they’re being held responsible to pay back the money. Dr. Drew Ordon said that in a lot of cases when it comes to death, loans will be forgiven, but it seems as if Darnelle and Steve are dealing with a private institution. 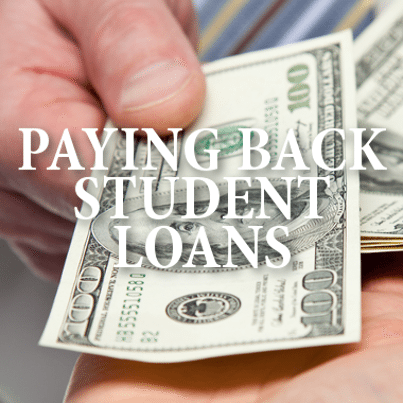 Dr. Jim Sears said that private student loan companies make a lot of money and he’s surprised that with all the media attention the story was getting, the company didn’t just decide to relieve the family. Dr. Travis Stork explained that for a lot of people in the medical field, they end up having to take out a public loan to pay for the schooling, but then in order to pay for things like an apartment and bills after the schooling, they need to then take out a private loan to help pay for those things. Dr. Stork explained that if anyone cosigns for a private loan, if that person dies, they will be held responsible. He said he can’t imagine the family having to pay off the loans, but that’s just how it goes. Dr. Rachael Ross suggested that if you have someone cosign something for you, have some sense enough to take out some life insurance so that you’re paying just $30 or so a month, but it will pay off the loans if something tragic were to happen. Dr. Stork said if you’re thinking about going to medical school, he suggested trying to minimize the use of private loans, and instead use federal loans as best you can. They sent their thoughts and prayers to the family, and shared that you can help the family using their donation page on GoFundMe.